Here at Blake, our Personalisation Team are often given the challenge to create unique, made to order envelopes for a specific purpose. 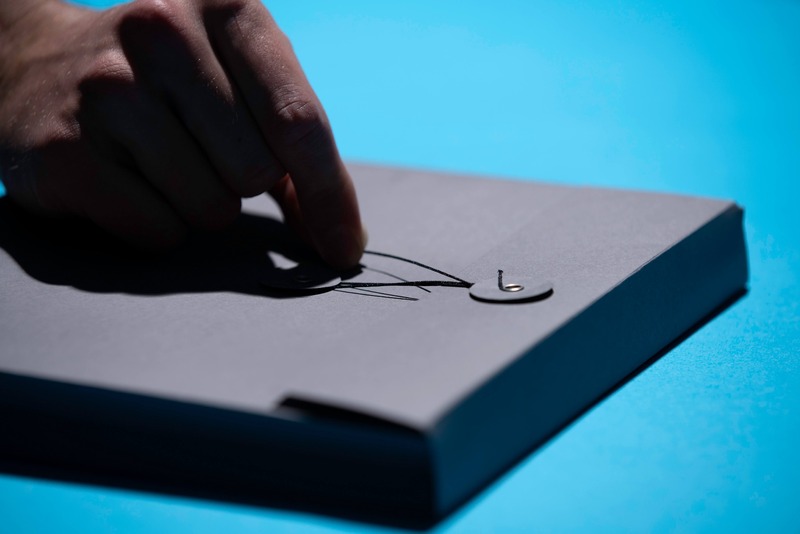 With the ability to supply almost any shape and size of envelope, our skilled handmade team are always able to come up with that special something to suit the most particular requests. Blake can use almost any kind of material, and will provide printed envelopes as well as plain, with options of string and washer, Velcro, peel and seal, gummed or self-seal fastening, whether a wallet, pocket, board back or a gusset. You name it, we can do it! Over the years, our team have come up with a wide variety of designs and solutions, always thinking outside the box and putting in endless time and effort to provide the perfect product, whatever the requirements may be. And don’t think it just stops at envelopes for mailings! Our team have come up with solutions for all manner of items, from a dental repair kit, to a drinks set and a knitting set; so however unusual or specific your needs may be, you can be sure that our team will find a solution. Here we are sharing one of our more recent projects with you. Scott Tallon Walker Architects is an architecture practise based in Dublin, Ireland. They are devoted to designing ‘timeless, innovative and well-crafted buildings that enhance wellbeing, the public realm and the environment.’ With 5 studios and 89 years of experience they have been involved in all manner of projects, and have created some truly incredible and breath-taking buildings. Take a look on their website here to see some of their amazing designs! 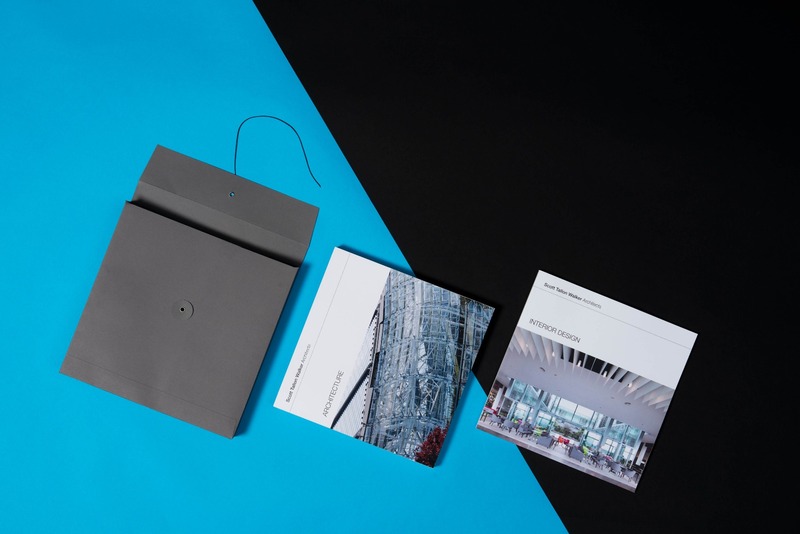 Approaching Blake’s Personalisation Team, STW Architects wanted a bespoke gusset string and washer tie envelope to hold two brochures for an event they were planning. They were looking for a square gusset envelope in a heavy weight matt dark grey paper, with their logo foiled on the outside. After experimenting with some different options, Blake came up with envelopes that were made up from flat sheets. These were then foiled and die cut by our specialist team at Blake. Next they were folded and made up by hand to create a block bottom gusset, to which a string and washer fastening was applied. The Blake team completed the task successfully and delivered the finished product to Ireland in just 9 days.